September 1997 Drs. 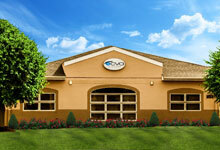 Leon Lewis and Paul Holmwood form a partnership called Eye Care & Vision Associates Ophthalmology, LLP (ECVA). November 1997 An optical dispensary opens at the Hopkins Road office in Williamsville. April 1998 John T. Hammersmith, OD, joins ECVA on a part-time basis. December 1998 ECVA opens an office in Hamburg. July 1999 Dr. George W. Pfohl, an ophthalmologist, joins the group and adds an office in Elmwood Village in downtown Buffalo. 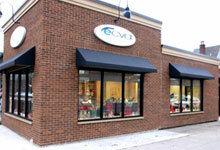 October 1999 ECVA opens an optical shop on Elmwood Avenue. April 2000 ECVA expands and relocates in the Southtowns on Southwestern Blvd. near McKinley Parkway. June 2000 Eleanor Lewis, a certified orthoptist, joins ECVA. August 2001 ECVA adds its third optical shop, at the Southtowns office. 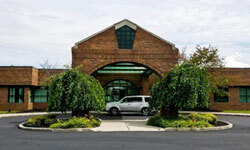 November 2001 ECVA expands and adds an office in Niagara Falls on Williams Road in Niagara Falls, NY. July 2002 Dr. David P. Montesanti, an ophthalmologist, joins ECVA. December 2002 Dr. John T. Hammersmith, an optometrist, begins working full time for ECVA. 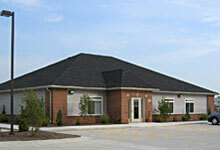 April 2005 ECVA relocates its Niagara Falls office from Williams Road to Plaza Drive. September 2005 ECVA adds its fourth optical shop, at the Niagara Falls office. September 2008 Hamburg office relocates to 3712 Southwestern Blvd. in Orchard Park. May 2009 Dr. Daniel M. Cotter, an ophthalmologist, joins ECVA. October 2014 Dr. Eugene McDonough, an optometrist, joins ECVA.